What is “Knock! Knock!” about? 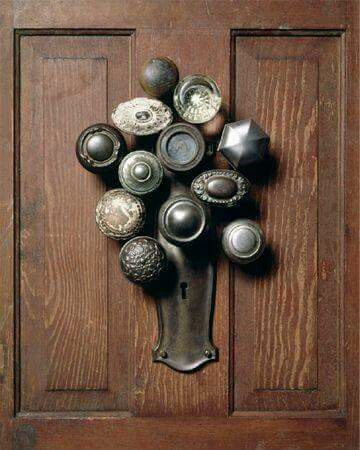 “Knock! Knock!” is an eTwinning project joining schools from six countries: England, Iceland, Italy, Poland, Slovenia and Spain. The story of what to find behind the doors. Now it is time to present what you can find behind our door. Take a look and find out more. The process started out looking at different houses around the world to finally decide what kind of house we were going to make. It was decided to make a house for a certain ghost living in this area called “Stapadraugurinn”. While the ghost was still alive he lived in a turfhouse which was typical for houses in those days. To learn more we visited such a house, Stekkjarkot and the museum in Reykjanesbær. Then we started the pocess of making the house. Making gras to go on the roof. The walls was to dark inside the house. 4. Inside the house there was…. What can our doors open? The second one opens the way we used to go to the Carpenter’s shop to create our door for the school. Finally, the third one opens our English class and the activities we do in it. We did it in English because we are very brave!! Feel invite to enter e-corriDOOR. You can see what children imagined to be behind the doors created by other students. With a help of a teacher you can add your comments. Here you can see the collection of project doors our students created in their classrooms. Are you curious to know what is behind them? Try to guess it! In our preschool we found very special door, door with five circles. Do you know what these circles mean? We stepped through the door and we found amazing world, world of winter olympic games. World of sports, fun, snow and ice. We learned a lot of new things, discovered new sports and we had a lot of fun. First we made props and we learned about other countries, flags, shapes, colours, we were counting, get to know different symbols… We were learning about sports behaviour and fairplay. We learned to sing Slovenian anthem. And then we had an opening ceremony with entry of all teams with their flags, olympic flag, anthem, olympic mascot and lighting of olympic fire. Than we had a lot of fun competed in different sports- ski jumping, biathlon, figure skating, curling, skiing, luge, hockey… Do you know all these sports? And at the end there was closing ceremony with awarding medals. And we had special visitors – major of Tržič, our hedamistress Tatjana and director of Sport unit. We were talking about doors, what kind of doors we have, where we can go through the door…Then we looked all the doors in our preschool and we went for a walk and looked different kind of doors in our neighbourhood. We decided that we want our door to be really special. We like colours, rainbow and sun so we want to put all this on our door. We were working really hard. And now we have rainbow door with sun and our photos. What do you think? Do you like it?